U.S. Court of Federal Claims in Washington, D.C.
Scott Roybal is the Practice Group Leader of the Government Contracts, Investigations & International Trade Practice Group. Mr. Roybal is based in the firm's Los Angeles office. Mr. Roybal practices business litigation in federal and state courts and before arbitration and administrative tribunals. 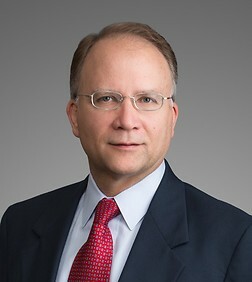 He has extensive experience handling government contract disputes and defending individuals and corporations in a wide range of civil and criminal fraud investigations. He has more than 30 years of experience litigating qui tam False Claims Act cases and related whistleblower actions. Mr. Roybal has handled dozens of corporate internal investigations involving diverse industries such as aerospace and defense, healthcare, financial institutions, electronics, high technologies, transportation, and telecommunications, among others that conduct business with the government. He provides compliance program advice and counsel and conducts investigations concerning the Foreign Corrupt Practices Act (FCPA). Mr. Roybal graduated Columbia Law School in 1986 and began litigation practice with Sheppard Mullin later that fall. In October 1986, Congress amended the civil False Claims Act ("FCA") making it easier and financially more rewarding for qui tam whistleblowers (also known as "relators") to file FCA actions. Beginning in late 1986, several of the firm's defense contractor clients became the subject of parallel criminal, civil and congressional investigations which ultimately evolved into protracted federal FCA litigation. Mr. Roybal worked on these early FCA litigations as the federal law was being shaped and defined throughout the nation. For 30 years, Mr. Roybal has specialized in government contracts litigation, conducted dozens of internal corporate investigations, responded to numerous government criminal, civil and administrative subpoenas and litigated many qui tam FCA actions nationwide. The FCA investigations and litigations on which Mr. Roybal has worked have involved diverse industries such as aerospace and defense, healthcare, financial institutions, electronics, telecommunications, and high technologies, among others. Federal Government FCA Investigation of Skilled Nursing Facility Chain: From 2006 through 2008, Mr. Roybal represented a large skilled nursing facility chain and counseled the client regarding parallel criminal, civil and administrative allegations of fraudulent practices involving the Medicare program. Mr. Roybal worked with the client to resolve alleged overpayment claims. Pharmacy Over-the-Counter Prescription Drug Billing and Dispensing (Central District of California; 23 State Attorneys General): From 2012 through 2014, Mr. Roybal represented a Fortune 50 company regarding a qui tam FCA investigation of alleged improper billing, labeling, and dispensing practices concerning Medicare and Medicaid program reimbursement for OTC prescription drugs. After a series of evidentiary presentations, Mr. Roybal convinced the DOJ and whistleblower counsel to dismiss the action. Laboratory Testing (Central District of California): In 2016 and 2017, Mr. Roybal represented a laboratory in a qui tam FCA action. The District Court granted a motion for summary judgment in favor of the client and the case was dismissed with prejudice. Laboratory Testing (District of Idaho): In 2017-2018, Mr. Roybal represented a laboratory in responding to HHS OIG subpoenas regarding alleged improper testing. The government completed its investigation without any consequences for the laboratory. Laboratory Testing (Eastern District of Missouri): In 2017, Mr. Roybal represented a national laboratory testing company that received an HHS OIG subpoena regarding Medicaid reimbursement issues. The government completed its investigation without any consequences for the laboratory. California Management Services Organization: In 2018, Mr. Roybal conducted an internal investigation regarding alleged improper practices involving Claims and Utilization Management personnel. Mr. Roybal prepared self-disclosure notices and subsequent investigation and corrective action reports that were provided to the California Department of Managed Health Care and Department of Health Care Services and various Health Plans. California Healthcare Association Compliance Manual: Based on Mr. Roybal's extensive experience regarding FCA matters and Government investigations, he was asked to write the California Healthcare Association's Compliance Manual which was distributed to over 400 hospitals and other healthcare providers located in California. Mr. Roybal has lectured throughout California regarding Medicare and other healthcare fraud and abuse subjects including defending qui tam FCA actions. Mr. Roybal has conducted a number of internal investigations and compliance assessments for healthcare providers. USAF Peacekeeper (MX) Ballistic Missile Guidance System (Central District of California): From 1987 through 1996, Mr. Roybal litigated a qui tam FCA matter involving a ballistic missile guidance system in which the whistleblower and Department of Justice ("DOJ") alleged labor mischarging, defective parts and other claims for relief under the FCA. The DOJ demanded more than $100 million in single damages (potentially trebled). This was the first FCA matter that was tried in which the DOJ had intervened since the FCA was amended in 1986 to make it easier for the government to prevail. After nearly 10 weeks of trial, the jury returned a verdict in favor of the defendant on 13 separate claims for relief. The verdict received national attention and was described by The National Law Journal as one of the biggest defense verdicts of 1996. U.S. Navy F/A -18 Fighter Program (Central District of California): From 1988 through 1995, Mr. Roybal litigated a qui tam FCA matter involving the F/A-18 fighter jet in which the whistleblower and DOJ claimed defective pricing, cost accounting, and other violations under the FCA. After substantial discovery and motion practice, the DOJ ultimately gave up its jury trial rights and agreed to try the matter before a two-judge panel under a baseball-styled arbitration. The DOJ demanded $40 million while defendant offered $4 million. At the end of the arbitration, the judges selected the amount that most closely approximated the liability, if any, of the defendant. The Court ruled in favor of the defendant. U.S. Navy F/A-18 Fighter and Aerial Target Drone Programs (Central District of California): From 1995 through 2003, Mr. Roybal litigated a qui tam FCA matter involving the F/A-18 fighter jet and Navy Target Drone programs in which the whistleblower and DOJ alleged defective or substandard goods were sold to the U.S. Navy. Early in the action, defense counsel convinced the DOJ to virtually abandon its allegations involving the F/A-18 fighter jet. The DOJ vigorously pursued its allegations involving the Target Drone program and took over 125 depositions. The DOJ alleged more than $200 million in single damages (potentially trebled). One month before trial was scheduled to commence in August 2003, the DOJ and whistleblower accepted a small fraction of their prior demands and settled the matter. USAF Joint Surveillance and Target Attack Radar System (J-STARS) Program (Western District of Louisiana): From 2001 through 2005, Mr. Roybal defended a criminal and civil Government investigation into alleged defective parts and labor mischarging involving the USAF's J-STARS program. The DOJ served Grand Jury subpoenas, Office of Inspector General ("OIG") subpoenas and interviewed dozens of witnesses. In 2004, Mr. Roybal prepared a comprehensive report to the DOJ rebutting their allegations of violations of the FCA. Mr. Roybal met with the DOJ and local Assistant United States Attorneys and defended the written report and related exhibits. Within six (6) months, the DOJ dropped all criminal and civil FCA allegations and the client paid no settlement. DoD Carbon Fiber and Composite Materials Programs (Central District of California): From 2004 through 2008, Mr. Roybal litigated a qui tam FCA matter involving more than 1,000 defense contracts in which the whistleblower alleged price fixing of carbon fiber materials which caused the U.S. Government to overpay for end items containing composite parts. The whistleblowers initially alleged single damages exceeding $1 billion (potentially trebled). After substantial discovery and filing of motions for summary judgment, the whistleblowers and DOJ accepted a small fraction of their original demand and settled the matter. Federal and State Telecommunications Billings & Collections Operations (Central District of California; 8 State Attorneys General): From 2006 through 2011, Mr. Roybal represented a Fortune 200 financial institution and defended against federal and state Attorney General allegations of FCA violations involving excessive billings and collections on rentals and sales type leases of telecommunications equipment. Mr. Roybal responded to multiple federal and state subpoenas and coordinated the multi-jurisdiction defense of alleged qui tam FCA violations. The matter was successfully settled with all interested jurisdictions for a modest amount. Federal Government FCA Investigations of B-2 Bomber and Spaced-Based Assets Government Programs: From 2002 through 2010, Mr. Roybal represented a Fortune 100 defense contractor and defended multiple FCA allegations of engineering fraud and abuse in high technologies areas on the USAF B-2 Bomber and a variety of other space-based asset programs. The Government's two separate investigations were successfully resolved. U.S. Navy F/A-18 External Fuel Tanks and Army Blackhawk Helicopter Landing Gear Programs (Central District of California; Southern District of Ohio): From 2009 through 2013, Mr. Roybal represented a Fortune 50 defense contractor in defending allegations of fraud and abuse involving defective products and product substitution. The Navy tanks matter commenced as a Grand Jury investigation but through a series of evidentiary presentations, our client obtained a rare letter of declination from the United States Attorney in Los Angeles. The parallel qui tam FCA allegations were successfully resolved with United States Attorneys in California and Ohio. General Services Administration (GSA) Schedule Contracting (District of Colorado): From 2012 through 2015, Mr. Roybal represented a Fortune 100 company regarding a GSA Inspector General and DOJ investigation of alleged improper billing and collection practices involving the Department of Interior, Bureau of Land Management, and the National Institutes of Health. After responding to multiple FCA Civil Investigative Demands (CIDs), Mr. Roybal convinced the DOJ to drop its investigations. Unmanned Aerial Vehicle (UAV) Cost Accounting (Central District of California): From 2012 through 2014, Mr. Roybal represented a Fortune 100 company involving parallel criminal, civil, and administrative investigations of alleged cost accounting violations involving a UAV demonstrator to be marketed to the U.S. Army, Department of Homeland Security, and other government agencies. After a series of evidentiary presentations, Mr. Roybal convinced the DOJ and other federal agencies to drop their investigations. USAF B-2 Bomber Program (Central District of California): From 2014 through 2016, Mr. Roybal represented a Fortune 100 company involving a DOD OIG subpoena. After producing a variety of materials, the federal government dropped their investigation. GSA and Trade Agreements Act (TAA) (Central District of California): Beginning in 2017, Mr. Roybal represents a client in a qui tam FCA case in which the relator has alleged violations of the TAA and FCA by selling non-compliant products through the GSA. Counterfeit Parts – GIDEP Alerts – Grand Jury Subpoena (Central District of California): Beginning in 2018, Mr. Roybal represents a manufacturer of power supply units used in Department of Defense and other government Agency applications. Mr. Roybal is advising the client with respect to GIDEP Alerts, risk mitigation plans, supply chain management, and responses to Grand Jury subpoena requests for information issued by a criminal AUSA in the Central District of California. Mortgage Lending (Central and Northern Districts of California): From 2013 through 2016, Mr. Roybal represented a Fortune 100 financial institution regarding a qui tam FCA lawsuit that alleged improper residential mortgage lending practices involving FHA-insured loans. The Court granted the defendant's motion to dismiss based on the FCA's public disclosure and original source rules. The Ninth Circuit later confirmed the dismissal with prejudice. Mortgage Lending (Northern District of California): In 2016-2016, Mr. Roybal represented a Fortune 100 financial institution regarding a qui tam FCA lawsuit that alleged improper residential lending practices involving FHA-insured loans. The Court granted the defendant's motion to dismiss based on deficient pleadings. Mortgage Lending (Main Justice, District of Columbia and Northern District of New York): In 2016 and 2017, Mr. Roybal represented a residential mortgage company regarding multiple HUD OIG subpoenas involving FHA-insured loans and alleged violations of the FCA. Mr. Roybal prepared corrective action plans and other remedial measures to bring the company into compliance with HUD and FHA regulations. Financial Institutions Reform, Recovery and Enforcement Act (FIRREA) (District of Massachusetts and Main Justice): In 2017, Mr. Roybal began representing a national laboratory testing company in response to a FIRREA subpoena served by the DOJ involving alleged fraud of a large investor group. Mr. Roybal has counseled many other clients involving Government investigations and FCA allegations which have led to favorable results. These diverse matters have included alleged: (1) Medicare fraud regarding Durable Medical Equipment ("DME"); (2) Medicare and Medicaid fraud regarding physician kickbacks; (3) reverse false claims regarding improper withholding of royalty payments to the federal and California state governments; (4) failure to pay New Mexico gross receipts taxes; (5) failure of credit unions to escheat dormant deposits to the state of California under the escheatment laws; (6) labor and material overcharging for materials and supplies involving the Iraq war; (7) improper use of federal research and development funds; and (8) failure to warn of health hazards caused by selling products to the government containing excessive amounts of lead, among others.